100kg weight limited on the slippery road such as hard marble etc. Choose from three colors! And bring them home to play on smooth floors. Just lift your feet up from the floor to launch the car into movement and twist the steering left and right to control where the car goes. Turning the steering wheel around 180 degree will bring the car backwards. Halting the car is as easy as setting your feet back on the floor. With super easy navigation, your child will instantly fall in love with their new car and call it their new best friend. Parents can now enjoy the Magical Swing Car with their children. It&apos;s a great family fun toy!! 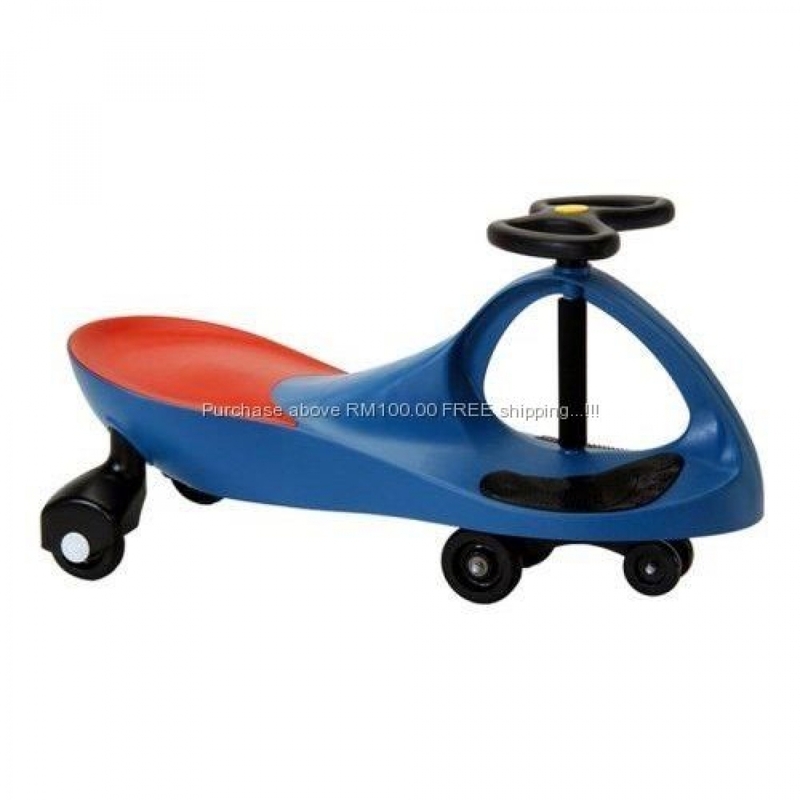 Parents can easily bring along this cool Magical Swing Car to anywhere places like Shopping Mall, playground & etc.